Beverstein has been flying for 20 years. She started flying lessons at the Island Airport while pursuing her BSc at the University of Toronto. She then went to Seneca College to complete her initial flight training. Beverstein was a flight instructor for five years before working for Air Georgian out of Toronto Pearson. 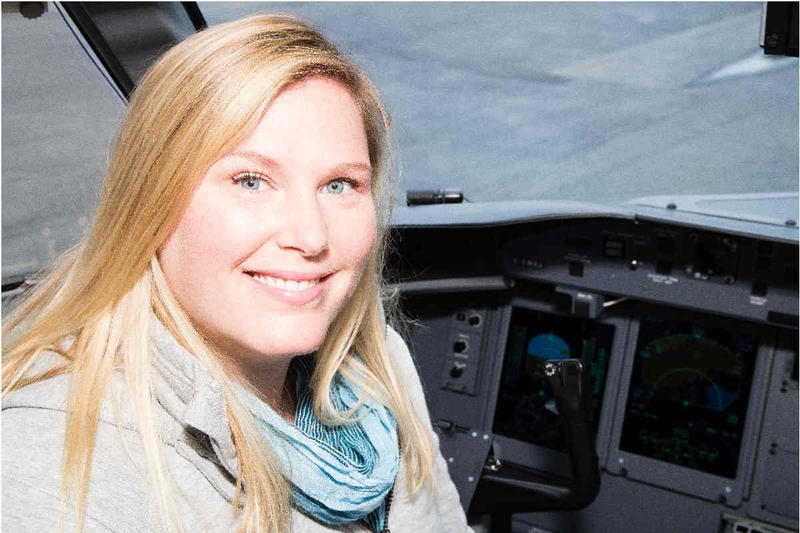 Beverstein joined Porter Airlines in 2009 and today she is an active line pilot and training captain. She leads the pilot hiring and all pilot recruitment initiatives at Porter, which in part includes hosting airline open houses, Porter Airlines Early Connection program and the Destination Porter mentoring program, a partnership with 13 fight colleges coast to coast, as well as the Porter Star Award. A favourite story on my journey, by Julie Beverstein: Anyone who knows me knows I have a no filter and will often speak my mind without thinking it through. This has definitely created some embarrassing situations once or twice. This story is from almost 10 years ago when I was a pilot at Air Georgian. We were sent off to Bedford Massachusetts to pick up some passengers and fly them to Buffalo, wait, and then fly them back to Toronto. I thought he was full of it and said, “Yeah, whatever – keep Loading!” Once the loading was done and I went on the plane to brief the passengers, I realized they were old and British and looked like they may have lived through a thing or two! I thought oh, crap! Anyway, it was hot and we had a job to do. Soon after, we could hear the women backup singers singing and the captain said, “How annoying.” I agreed and explained the back was loaded with instruments, that one of the passengers mentioned Pink Floyd, but as if they would be flying Air Georgian. Well, wouldn’t you know it! It was Roger Waters and his band. They were flying to Buffalo to perform. We had the manifest for customs and a quick search on our phone verified I had once again put my foot in my mouth. Although I do my best to be professional at all times, this story is a reminder that you never know who is on your plane as a passenger and a momentary pause to think before speaking can save a lot of embarrassment.